A charming studio quiet and nice. The 22 square meters studio HAS Become a small house with a terrace. 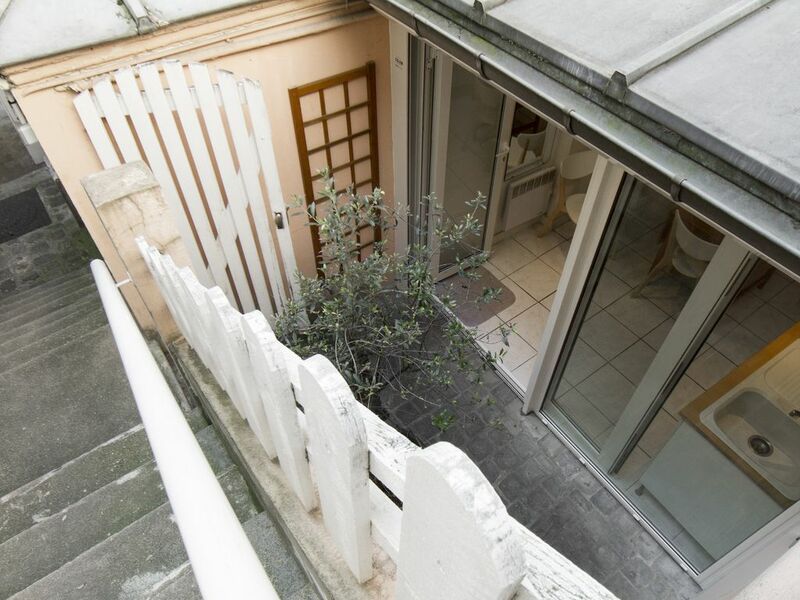 The studio is Located in the inner Montmartre: The abbesses. This charming apartment will be quiet and nice. The 22 square meters studio HAS Become a small house. One Enters though the small Terrace. Opening the wide bay windows (2 to 3. 5 meters) WIDENS the terrace to the first area of ​​the studio, qui is the cooking and eating space. The studio is Located in a town like Montmartre typical group of buildings. It is located at ground level after-A Few steps down with a little courtyard. It is very calm, no street noise. It offers a real twin bed (not a sofa bed), a kitchen and a nicely designed bathroom. It is a very nice place for 2. The next space is the living room area, connected directly to the bedroom space. The twin bed can be separated from living room by pulling back curtains. The studio is Located in the inner Montmartre: The abbesses. The trendy share of Montmartre is just down the street: many restaurants, shops and nice café terraces. The ABBESSES subway station is 2 minutes walk. White & Pigalle stations are only 3 minutes away.